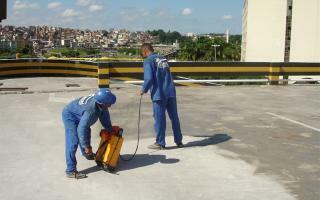 Radcon Formula #7® treatment for the rooftop and exposed car park of the Iguatemi Shopping Centre in Salvador was concluded in January 2007. The area was required for the centre's grand opening and therefore left the authorised applicator - Aterel Ltd, with only 3 days to waterproof an area of 3,850 sq metres. As there are department stores and other parking spaces located below the treated area, it was crucial to guarantee a 100% watertight result.